Some people devote their life for the sake of ALLAH through preaching his approved deen or Islam. Dr. Abu Ameenah Bilal Philips, who is well known for his knowledge seeking behavior, is not exception to them. He is also prominent as a teacher, orator, writer, and critical intellectual. He is the scholar, who sturdily delivered the message of Islam to encourage the people to come under the umbrella of Islam. Dr. Abu Ameenah was born in Jamaica on January 7,1952 and brought up in Toronto, Canada, where he embraced Islam in 1972 as he said, “After about 6 months of reading and discussion, I had made my decision and embraced Islam in 1972.” Both his parents are teachers, and one of his grandfathers was a church minister and Bible scholar. The happiest and serenest moment for Belal came when both of his parents embraced Islam at their seventies. After conversion to Islam, Dr. concentrated to his education life and achieved different degrees including B.A (Islamic principles, 1979), M.A (Theology, 1985) from Medina and King Soud University respectively. Furthermore, he has completed his PhD (Islamic theology) from the University of Wales in 1994. Dr. presented some Islamic programs on Saudi Television Channel especially ‘interviews of converted Muslims’ named ‘Why Islam’ after successfully completion of his M.A degree and Worked in the religious department of the Saudi Arabian Air Force headquarters in Riyadh during the Gulf war (Desert Storm) where he lectured American troops .as a result over 3,000 soldiers embraced Islam. He joined in private school of Riyadh and taught Islamic studies and Arabic for over ten years. As a lecturer, he taught Islamic studies in Islamic university of cotobato city, Mindanao, Philippines. By appearing in Peace TV, he speaks on different fundamental topics of Islam including Faith, polygamy, contemporary issue, oneness of God and so on. He is transcendent for his dedicating life to spread Islam as he did and still doing now as the founder director of Islamic information center in Dubai, united Arab emirates since 1994 and also founded Islamic Online University which has over 6600 students. About the success of information center ,Belal said, in the first five years, about 1,500 people from America, Australia, UK, Russia, China, Germany, Philippines, Sri Lanka, India and Pakistan had converted to Islam at the center. Currently, he is a lecturer of Arabic and Islamic Studies at the American University in Dubai and Ajman University in Ajman, UAE. Dr. has written over 100 scholarly books and many articles. Some of which are ‘Funeral Rites, The Fundamentals of TAWHEED (Islamic Monotheism) Purpose of Creation, Tafsir: Surah Buruj, Exorcism in Islam, Evolution of Islamic Law, Islamic Studies, Hajj and Umrah According to Quran & Sunnah, Islamic Rules on Menstruation, Arabic Reading & Writing Made Easy, Arabic Grammar Made Easy, The Qu’ran's Numerical Miracle - Hoax and Heresy, Evolution of Fiqh, Tafseer Surah al-Hujurat, The Ansar Cult, Salvation Through Repentance. He has also co-authored Polygamy in Islam. A lover of Islam can enjoy the Video lectures of Belal on You tube, where following lectures are available: Foundation of Islamic Studies, Contemporary Issues, Oneness of God, In search of Inner Peace, Struggle of Cultures: Clash of Civilizations , Avoiding the unlawful, Euthanasia, My Way To Islam, Judgment Day, Empire of Deceit (Series), In the names of Allah (Series), Increasing Faith in Difficult times, In the light of Islam (Question and Answer sessions), Understanding Islam and so more on peace TV. He lives in Doha, Qatar, with his family where he teaches at the Islamic Studies Academy. He enjoys playing squash at least three times a week with his wife and sons as a way to stay fit and stress-free. He teaches his children martial arts and has a black belt in Karate. 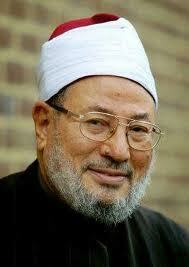 Yusuf Al- Qaradawi was born on September 9, 1926 in an Egyptian Muslim family. He lost his father at two years old in 1928 and brought up by his uncle. Though his family pressured him to be sources of income, he had few concentrations about that, due to fulfill the thirst of knowledge. He concentrated in reading Quran and memorized it when he was 9 years old boy. It should be noted that he was very pious from his childhood which made him a follower of Hasan Al Banna, the great Muslim scholar in that time. He gathered much knowledge from his teachers and leaders. Before moved to Qatar to his uncle, he attended in the Al Azhar university in 1928. He came back from Qatar in 1940 and joined at Al Azhar to restart his study. Then he joined the Faculty of Theology and got the `Aliyya certificate (equivalent to BA degree at present) in 1952-53. He got also the ‘Ijaza of teaching from the Faculty of Arabic Language in 1954. Actually in his life he tried to ease off the Shariah within the obligations in practical life. So in his early life, he delivered much speech and writings for Islam and against monarchy and was imprisoned more than three times in 1949 when his book ‘Tyrant and the scholar’ was published. Al Qaradawi is now one of the most eminent scholars of Islam. He has been trying to provide practical solution on current world problem which are in integral part of Muslim life. These problems cover suicide bombing, terrorism, alcohol, Homosexuality, conflict between Israel-Lebanon, Israel-Palestine and other basic Shariah rules and obligations such as Hijab, religious rights. For his contributions, he is known as moderate Muslim scholar on religious and social matters. Moreover, he has been struggling to depose misconceptions and misinterpretations about Islam and to provide exact and superior solutions on various issues through his writings and speeches. He has published over 100 books dealing with various aspects of Islamic life, literature and poetry. His best known books include: The Lawful and the Prohibited in Islam (1960), Priorities of the Islamic Movement in the Coming Phase (1990). Approaching the Sunnah: Comprehension & Controversy , Islamic Awakening Between Rejection and Extremism and Priorities of Islamic Movement. Qaradawi served as Dean of the Islamic Department at the Faculties of Shariah and Education in Qatar, and as a Chairman of the Islamic Scientific Councils of Algerian Universities and Institutions. He was also a faculty member at the Michigan-based Islamic American University (IAU), a subsidiary of the Muslim American Society. Until at least June 2003 he was Chairman of the IAU Board of Trustees. Sheikh Yusuf Al-Qaradawi is the head of the European Council for Fatwa and Research (ECFR), and the president of the International Association of Muslim Scholars (IAMS). He is popular for his ‘Al Jazeera’ program named ‘Ash-Shariah wal hayat (Shariah and life) and for website “Islam online” that he helped to found in 1997, where he offers opinion and religious verdicts (Fatwa) and provide possible solutions based on Quran, Hadith and strong logic. He delivered many speeches in his interviews given in different media. He worked as a khatib, teacher, and writer at Al-Awqaf and Al-Azhar. Many scholars consider him to be a mujtahid of the Modern Age. He has been active in the field of da`wah and the Islamic Movement for more than half a century. Dr. Yusuf is also well-known in Bangladesh as a moderate Muslim scholar. Many of his books are available in Bangla language. We should study those books to clarify the concept of Islam. Finally, it can be said that, we have lots of things to learn from this great scholar’s life and works. In 20th century, some Muslim scholars devoted their lives and attempted to develop the ideas Islamic economics and financial systems. Dr. Monzer Kahf is one of them. He is known as an eminent economist, counselor, lecturer and expert of Islamic Shariah and laws. He was born on 1940 at Damascus, the capital city of Syria and completed his primary and secondary education from the educational institute of Damascus and took a Bachelor degree (B.A in commerce) from the University of Damascus on June in 1962 .at the same time he was awarded by the president of Syria for his outstanding performance. In 1967, he achieved ‘High Diploma in social and economic planning’ from the United Nations institute of planning, Syria. This scholar attained his Ph.D in Economics (Major currency Development and Economy) on March 1975 from the University of Utah, Salt lake city, Utah. He has also Strong training and knowledge of Islamic Jurisprudence (Fiqh) and Islamic Studies. Undoubtedly, it can be mentioned that the performances of Dr.Kahf was satisfactory in different organizations. In his rich working life, he joined at different organizations including university, research institutions, and financial institutions and worked splendidly. Dr. Monzer was the Instructor of School of Business, University of Damascus, Syria (1962 – 1963) and worked as the Auditor of Government State Audit Office, Syria from 1963 to 1971. After completion his graduation, he taught economics (1971 – 1975) in university of Utah as a teaching assistant. He worked as the Director of Finance in Islamic Society of North America (1975 – 1981) and the Manager of National Zakah Fund and Islamic Cooperative Fund for Muslims in North America, (1975- 1981). He was the Research Economist (1985 – 1999), Head of Research Division (1989 – 1991) and the Senior Research Economist (1995 – 1999) of Islamic Research and Training Institute (IRTI) of the Islamic Development Bank (IDB). Jeddah, Saudi Arabia and showed his stupendous performance in preparing research plans, evaluating research works, organizing seminars on Islamic economics, banking and finance, writing original research papers , generating ideas for research projects ,coordinating with other departments, and networking with other research organizations . He joined in the Yarmouk University, Jordan, as the Professor of Islamic Economics and Banking in the graduate program and taught Islamic economics for two years (2004-2005).he is the Certified Public Accountant in Syria since 1968. Currently, he is working as a Consultant, Trainer and Lecturer of Islamic banking, finance and economics and has Private practice at California in USA, which is started in 1999 by him. He founded The Indiana state licensed Muslim Students Association’s Credit Union and the Islamic Housing Cooperative of Indiana in 1980.later, these were the model of such cooperatives and credit unions in the USA and Canada. He is also the founding member of ‘International Association of Islamic Economics’ and ‘Association of Muslim Social Scientists of the United States and Canada’. From 1974 to1999, he was the member of ‘American Economic Association’. Dr. Monzer is a consultant of Islamic Housing Cooperative, Toronto, Canada, and the Islamic Society of North America and mosques in the United States and Canada, on the matters of ‘initial work procedures’ and ‘Islamic law relating to properties at marriage, inheritance, last wills and living trusts respectively. He provided the shariah law for Islamic financial institutions in the USA, Canada, Trinidad, Nigeria and Guyana. He has developed several copyrighted modules in Islamic Banking and finance such as: “Islamic Sukuk and capital markets, “Shari’ah-based wealth management, “conversion of conventional securities into Islamic securities,” “structuring Islamic financial products,” “Islamic Leasing,” Takaful and Insurance etc. Dr.kahf visited many countries including USA, Canada, and the countries of the Middle East, Europe, the Caribbean, South East Asia and Africa for the purpose of lecture in seminar, conference and as a consultant for financial institutions and delivered his lectures on Islamic Financial laws and regulations, Islamic economics and banking, Awqaf, Islamic Trusts, Islamic estate planning, charities in the Islamic Religion (Zakah), Friday Sermons in mosques and Islamic centers, etc. He is also the Speaker in two programs of IslamOnline.net: Live Fatwa and Live Dialogue in special sessions on Islamic banking, finance, Zakah and Awqaf. Dr.Kahf is the author of 28 books and booklets in English and Arabic on Islamic banking and finance, Islamic economics, Zakah, Awqaf. Some of his books are translated to Indonesian, Turkish and Korean languages. some of his familiar books are ‘Instruments of Meeting Budget Deficit in Islamic Economics, The Islamic Economy: Analytical Study of the Functioning of the Islamic Economic System, Economics of Zakah, The Islamic Economy: Analytical Study of the Functioning of the Islamic Economic System, International Economic Relations From Islamic Perspective, The Islamic Economy: Analytical Study of the Functioning of the Islamic Economic System and so more. He has written more than 100 articles, in English and Arabic, on Islamic economics, Islamic public and private finance, Islamic banking, Zakah, Awqaf, including entries for the Oxford Encyclopedia of the Modern Islamic World. Dr.monzer kahf is a citizen of USA and currently living at Westminster, California with his wife and children. After the 15th century, the study of Islamic economics was absent for a long time. In the mid 20th century, some economists tried to expose the application of Islamic economics in both written and practical format. Dr. Muhammad Umar Chapra, born on February 1, 1933, in Pakistan is one of them. This well-known Islamic economist started his education at High School under the University of Sind (1950) in his motherland and stood first in the whole University among 25,000 students. He achieved his B. Com. (B.B.A.1954), M. Com. (M.B.A.1956) and Ph. D (Economics, 1961) degree from University of Karachi and University of Minnesota respectively. The writings and speech of Chapra gave the basic Principles of Islamic economics with the strong theories, model and some clear empirical evidences. Moreover, He firmly found the shortcomings of modern economics, criticized it and gave the superior framework of Islamic economics to apply in the modern economics. Why the value judgment or religion or ethics is important to achieve the economic goal, he showed that in his research. He has lectured widely at a number of universities and professional institutes in different countries around the world, including the Harvard Law School, Loughborough University, the Oxford Centre for Islamic Studies, the London School of Economics, Universidad Autonoma, Madrid, the University of Malaga, Spain, the House of Commons, London, and the Islamic University of Rotterdam, and the Asia Pacific and Kyoto Universities in Tokyo and Kyoto, Japan. He has participated in a number of meetings of international and regional organizations like the IMF, IBRD, OPEC, IDB, OIC, and GCC. By clear away the misconception, Dr. Chapra presented the fundamental differences between Islamic and modern economics, common characteristic of Islamic consumer, producer, Islamic application on market, income distribution, poverty eradication, fiscal and monetary policy, zakat, bank, insurance, stock market and many other topics of economics. He spent most of his professional life outside of his homeland in the U.S.A. (6 years) and 44 years in Saudi Arabia as a researcher, teacher research adviser. He was the teacher of economics at the University of Minnesota (1957-60), the University of Wisconsin, Platteville (1960/61), the University of Wisconsin, Platteville (1963/64), the University of Kentucky, Lexington, Ky. (1964/65) and Economic Advisor and then Senior Economic Adviser at the Saudi Arabian Monetary Agency, July 1965- October 1999), Research Advisor at the Islamic Research and Training Institute of the Islamic Development Bank, Jeddah (November1999). He has authored 16 books and monographs and more than 100 papers and book reviews. Some of his books, monographs and papers have been translated into a number of languages, including Arabic, Bangla, French, Indonesian, Japanese, Malay, Persian, Polish, Spanish, Turkish and Urdu. Some of his famous books and monographs are, Towards a Just Monetary System (1985), Islam and the Economic Challenge (1992), The Future of Economics: An Islamic Perspective (2000), Muslim Civilization: The Causes of Decline and the Need for Reform (2008), Islam and economic development, Objectives of the Islamic Economic Order, The Islamic Welfare State and Its Role in the Economy,. Islam and Economic Development: a Strategy for Development with Stability in the light of Justice and Islamic teachings, what is Islamic Economics?, Regulation and Supervision of Islamic Banks, Prohibition of Interest: Does it Make Sense? , The Future of Economics: An Islamic Perspective, “Money and Banking in an Islamic Economy, “The Role of the Stock Exchange in an Islamic Economy and so on. Dr. Chapra has been awarded with gold medal from different universities (University of Sind, research and dawah institutions (Islamic Council of North America (ICNA), King Faisal International Award) and banks (Islamic Development Bank award) for his contributions to Islam and Islamic economics. Dr.chapra is now living in Saudi Arabia with his wife Khairunnisa Jamal Mundia and four children Maryam, Anas, Sumayyah and Ayman. He is also well-known in Bangladesh and visited it to participate in an international conference on economics arranged by Islamic economics Research Bureau (IERB). His books are also available both in Bangla and English in our country. “Islamic economics has effective tools and can solve economic problem of human life successfully”Dr. Chapra proved it easily, which illustrates the superiority of Islam. We should study Islamic economics more carefully to present it as the best solution for humanity.